Naga is the Founder and CEO of Resileo. Naga has spent his entire career in Performance engineering and testing and has worked on some of the most complex problems in the industry. 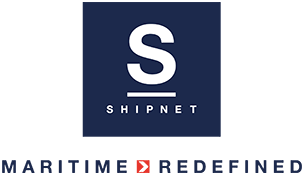 Prior to Resileo, Naga co-founded Appedo and was the Founder-CEO of Softsmith Infotech, an organization dedicated to Performance engineering, reporting, testing and test automation. 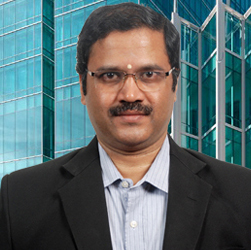 Nagarajan has BE in Computer Science from College of Engineering, Guindy. Naga is passionate about Carnatic Indian classical music, writing poetry in Tamil, playing badminton and mentoring young and energetic people on technology. Sriraman is the Sr. VP, Customer Delight at Resileo Labs. Sriraman has architected, designed and developed large scale products, at internet scale. He has worked on many performance engineering projects and put his hands on in resolving very complex performance issues with innovative out of box methods and concepts. Sriraman loves cloud, mobile and peta-bytes of data. Sriraman has BE in Electrical engineering from REC (NIT now) Durgapur. He is passionate about practicing meditation and mentoring college students on soft-skills. End to end performance visibility, provided by Resileo really helps us. Daily digests from Resileo provide cool data that that I want to see. I suggest every SaaS product, to use Resileo. Resileo helped us to shrink time. Our distributed teams used to take weeks to isolate performance issues. Now, with Resileo, all teams are on the same page; they identify performance bottlenecks in minutes. It was imperative for us, being a personal finance application, to have a third party test and validate our Android mobile app before we launched to the public. Resileo stepped right in with its professionalism, work ethic and QA expertise at an affordable price. I am happy to say FinAskus is now live on the Google Play Store to rave reviews. You can now avail our financial advisory services by downloading us from the play store and visiting us at www.finaskus.com. With Resileo, we are able to view the full-stack performance of our applications and servers. Resileo helped us to overcome application scalability issues in an agile mode. Subscribe to receive online performance ideas, and news in your inbox. Resileo helps you to reduce cost and time for all your QA/Testing and Analytics needs. Resileo achieves this goal thru a unique Product-Enabled-Service model. Resileo's open source test automation frameworks and open source APM, gives you the best ROI. Copyright 2017 - 2018 Resileo-labs All Rights Reserved.